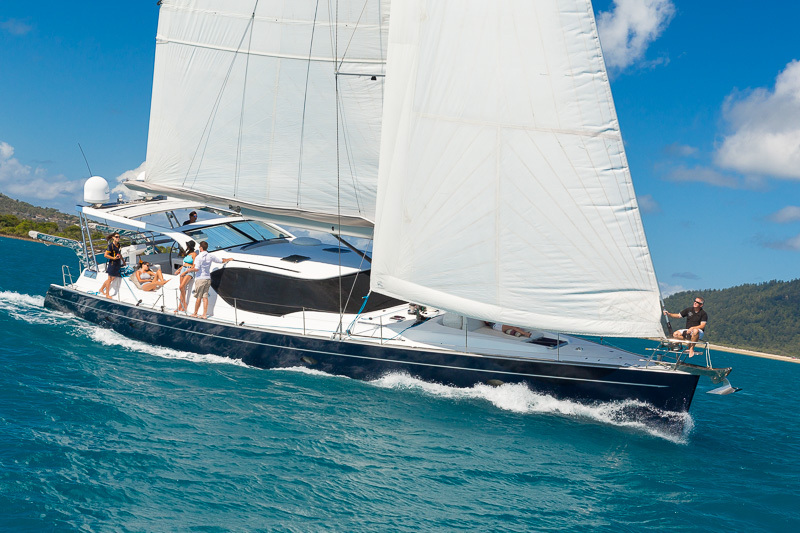 Whitsunday Bliss offers a Luxury Sailing tour of the Whitsunday Islands. 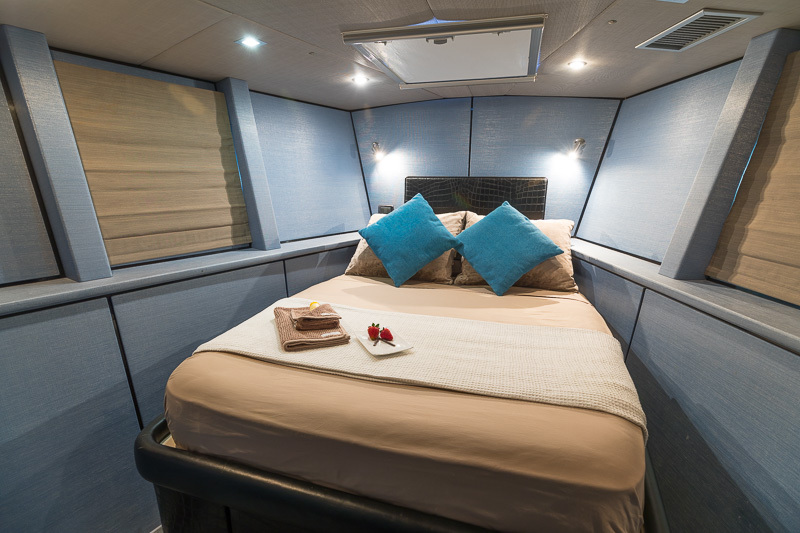 Built in Australia by Azzura Yachts on the Gold Coast, at 60ft Bliss offers plenty of space to relax in the cockpit, saloon or your cabin. But mostly you will want to sit above deck as we enjoy sunsets and sunrises out on the Whitsundays. The spacious fully air-conditioned saloon includes a comfortable dining and lounge area with panoramic views of the Whitsundays and includes an entertainment system with satellite TV. Each double cabin have their own plasma TV's also air-conditioned with individual climate controls for the perfect overnight temperature. Each ensuite has heated towel rails to keep towels fluffy and dry for after water activities in the cooler months (May - September). The large cockpit affords the luxury of space and comfort to enjoy sunset drinks and platters with the added feature of a foredeck sun lounge to soak up the suns rays or watch a spectacular sun set. Literally one step from the boarding deck on the back of the boat will take you in to the coral tropical waters for a swim or snorkel. All equipment is provided for your in water activities such as your mask, snorkel, fins and stinger suits. The Whitsundays are abound with activities including bushwalking and snorkeling. Your crew will be more than happy to take you to the best snorkel sites and bushwalks on offer, just remember to bring your camera! 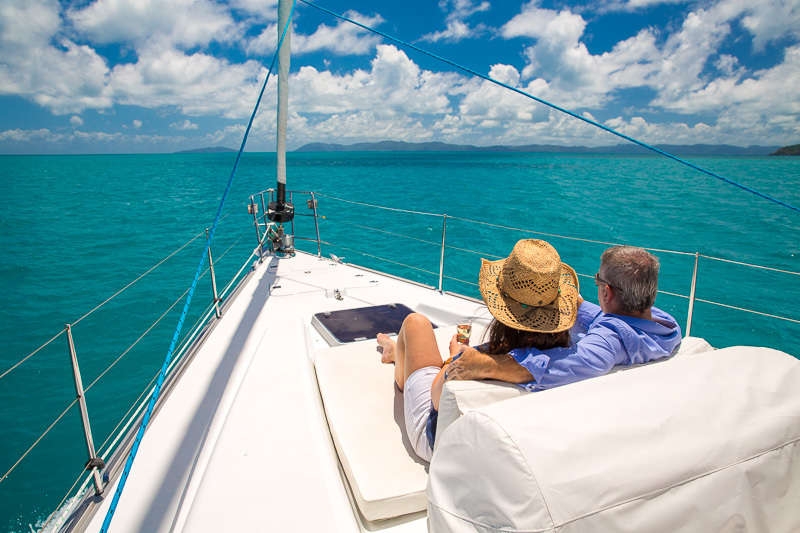 If you're keen to learn a little about sailing and take the helm on 'Whitsunday Bliss' the crew will show 'you the ropes' or just relax and listen to the water lapping on the hull as you sail in silence around the islands. 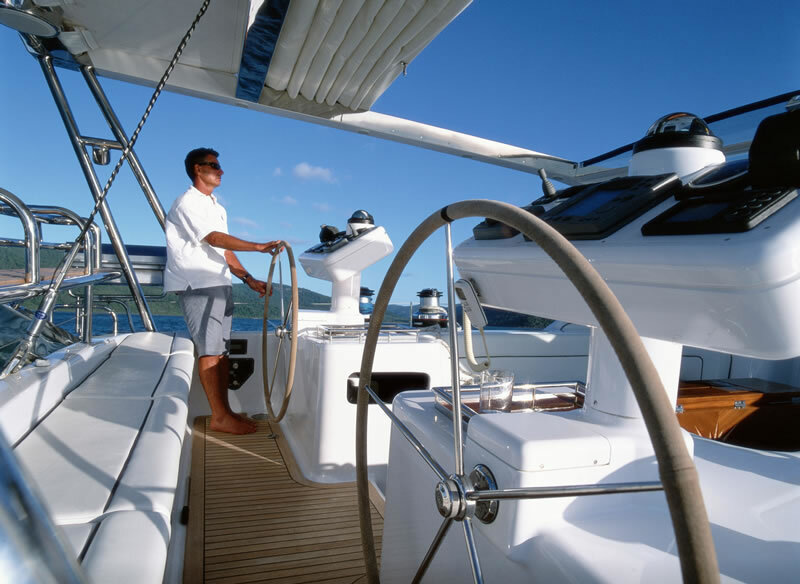 An internationally experienced Skipper is at the helm of your exclusive private charter while a qualified chef prepares restaurant quality meals using the freshest of local ingredients to satisfy event the fussiest of taste buds. 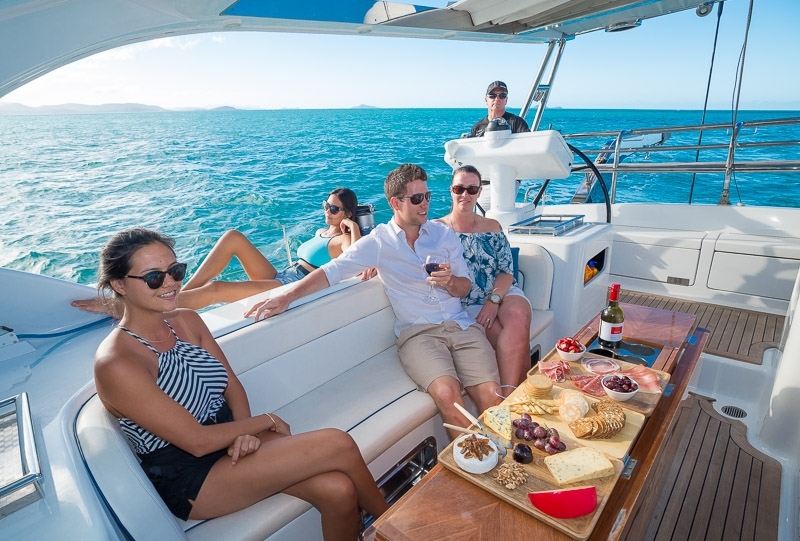 All meals, bottled water, soft-drinks tea and espresso coffee are included in the charter fee leaving you to sit back and relax and enjoy the beautiful surrounds of the Whitsunday Islands. Guests are welcome to bring your own (BYO) alcohol on board with plenty of storage and refrigerator space to keep it cool. *'Whitsunday Bliss' does not provide or sell sea sickness tablets. Please bring these with you if you require them.